The history of these can be traced back to Japanese paintings over 300 years old. 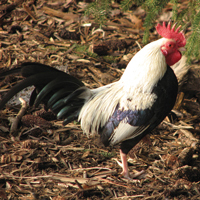 These bantams carry their tails upward and higher than the head. The wings angle down and back along the sides. Good layers, nice for show, and very popular. 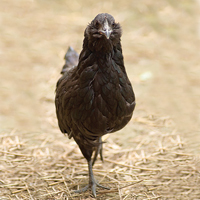 Because of a genetic characteristic in Japanese bantams there is no such thing as a pure short legged Japanese. 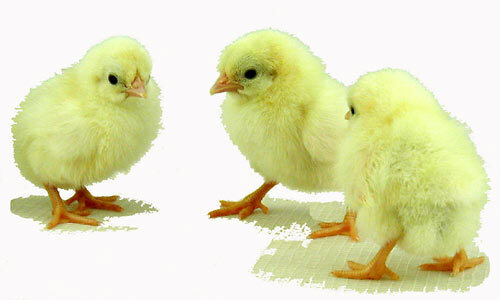 You may experience some chicks with medium to long legs. 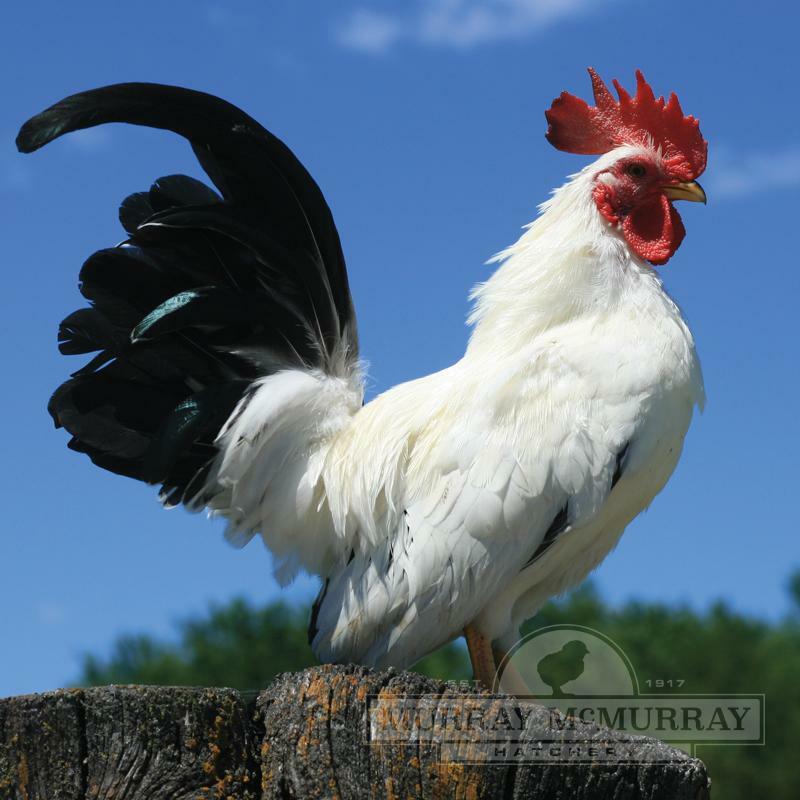 The sharp congrast of their white body feathers make this breed very distinguished looking. The primary wing feathers are black with white edging, while the front wing feathers are all white. 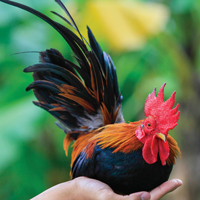 Add the bright red comb and wattles, and you have a truly majestic bird. Are any of the bantams good setters? 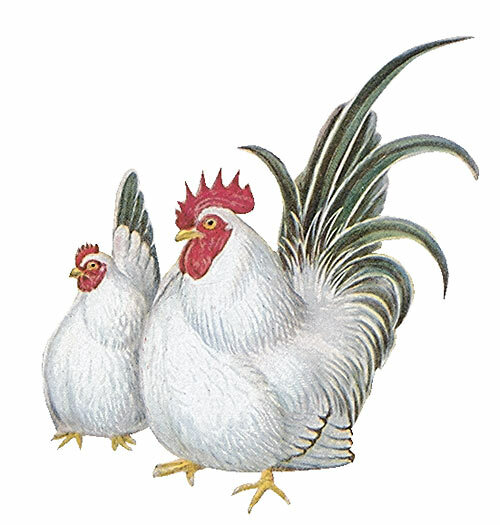 Silkie bantams and Cochin bantams are excellent setters. Sorry, we haven't seen that before. Do you have any way to email pictures of the eggs? Failure to Thrive!I ordered 5 of these, 5 black Japanese and some other bantam breeds, and ALL 5 of these DIED, while all 5 of the black Japanese are just fine, along with all the other chicks in my order. I wouldn't recommend to buy them until the hatchery straightens out whatever is wrong with this variety. 3 died after the 48 hour mark, and the other two I found dead this morning, so too late to file for losses. How convenient. These were for my 9 year old's 4H project, and he is heartbroken.